TO TRULY understand the impact of Don Imus' statement on the black women of the Rutgers basketball team, we need to go back a bit. Since slavery, black women have been the target of discrimination, from being raped and impregnated by their slavemasters, to being mammy to their children, to having to clean their beautiful homes while dreaming of having such a home themselves. Black women were later degraded by black men who chose women of other races, calling us lazy, loudmouthed and unappealing. And the rappers who continue to degrade us, calling us ho's and worse. 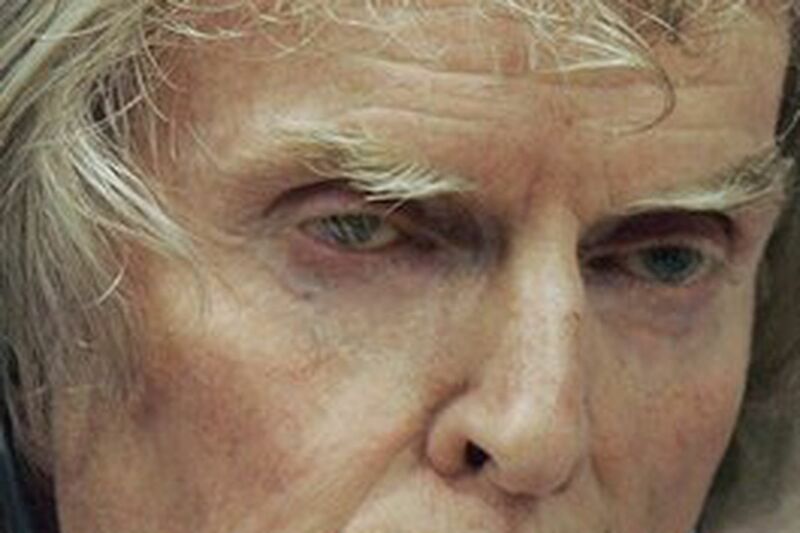 Now we have Don Imus. How much abuse are we to take? Not to mention the fact that we've looked to our black brothers to protect us, and since slavery, they haven't been able to do that. So now we have names like ho's, jigaboos, b-----s, nappy head, loudmouth, fat - just to name a few. If we are going to get respect from any race, we have to begin with our own. If you're going to call us anything, call us what we are: "Queens." I've never been a fan of Al Sharpton, but I applaud him for at least standing up for us. Everyone has heard the Imus comments. It was offensive and stupid, but some people ARE offensive and stupid. My problem is that now we are going to have all the "poverty pimps" come out of the woodwork and "call for this" and "call for that" and say, "Mr. Imus needs to come before my (insert your church or organization's name here)." These people will grandstand, get publicity for their organizations or radio and TV shows. And that is part of the problem. Am I to assume that because Imus goes before the 7,000-member First Baptist Church of Lincoln Gardens in Somerset, N.J., and talks to them, and that because if they say so, "All is forgiven"? There is no person or organization (no matter how big) who can speak for all African-Americans. Yet as soon as these celebrities say something stupid, they "reach out" to "this group" or "that person" to explain to them (and not all African-Americans) why they are not racist or that is not what their "intent was." It is a part of life that there are bigots, and the fact is they have the right to be ill-informed, pompous, arrogant idiots. But having the Sharptons and the 10,000-strong organizations or churches stepping into the spotlight, and saying, "He needs to be fired" or "He needs to come to us and explain his actions" is a pointless exercise that solves nothing. A group of boys at my sports practice asked me what was the difference between the '50s, '60's and '70s and today, in respect to thug life. I thought about it, and said that most of these wannabes today can't fight. The men of the past had natural heart. I can recall a group of guys coming together ready to rumble and the leader would step up and say, hold up. Then we would have what we called a "fair one." That meant everybody stepped to the side, and you saw two brothers put on a show of boxing that would have made the Olympic trials look small-time. The beauty was that, when it was over, win or lose, they shook hands. These young men gained the respect of their peers because they were true men, not cowards that would shoot you in the back after dark because they lost a fight earlier that day. The same brothers served this country in Vietnam, sometimes giving their lives, without thinking twice because they had heart and could fight. To the kin of these grandfathers, I say: Show respect, stand up, and if you think you must fight, show some heart, not a gun. Pay to play, soaring murder rate, inept leadership - all point back to the mayor. The Phillies should have a statue at the main entrance that more accurately reflects their recent teams. I was thinking of Pat Burrell dancing on a table, beer in hand, with a plaque reading "Abandon All Hope, Ye Who Enter Here." At least hell would be less boring. Stu Bykofsky comes up with some weird stuff, but he is totally correct in his call for a boycott of Circuit City because of the announced layoff of employees earning "too much." These experienced employees may, or may not, be offered their jobs back at starting salaries. Their only sin was reaching the top of their paltry pay scale. I hope this movement spreads. I'll do my best to help.